James Busby’s mother always loved listening to music. But as she developed dementia symptoms, she began to struggle with her music player’s controls, and stopped listening to the songs that used to make her happy. Busby looked for a product to support his mom’s love of music, and discovered the Simple Music Player. It’s easy to use: lift the lid to play music; close to stop. He found there were no businesses in Canada dedicated to selling products for people with dementia and their caregivers, so, in 2017, Busby launched the online Alzheimer’s Store Canada, based in Edmonton. Shown here are four of the store’s more popular items. Reduces confusion: Instead of showing the specific time, the clock shows it’s Monday morning or Tuesday night, for example. Trouble remembering phone numbers? Simply press the photo of the individual you want to call. 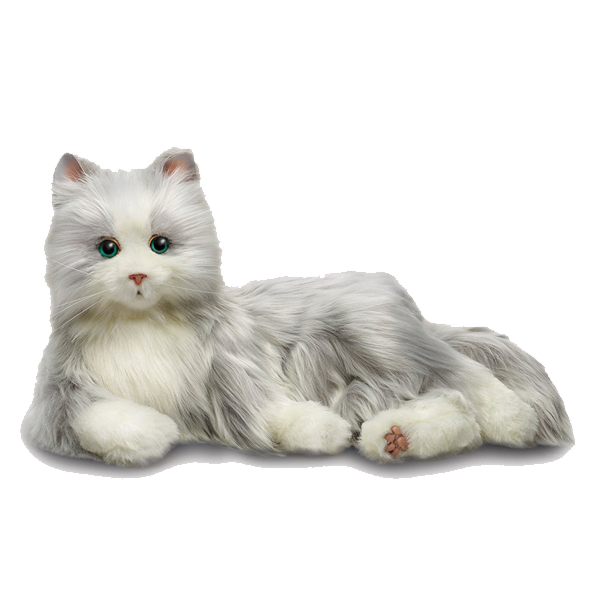 Respond with soothing purrs, meows and movement. Inside is a player with up to 1,000 songs. Squeeze the bear’s paw to play; squeeze again to stop. Jacqueline Cameron searched for products to help her husband, Jack, who was diagnosed with a rare disease called inclusion body myositis. It had him in a wheelchair, and Cameron found it difficult to dress him—he preferred trousers, button-up shirts and vests to baggy casual attire that’s easier for caregivers. Cameron wanted Jack to wear clothes that made him look and feel good. In 2012, she began adapting his clothing: “I took his clothes, cut them open and installed zippers,” she says. An occupational therapist encouraged Cameron to share the idea. In 2013, she founded Super Fly Adaptive Apparel.